Avocados are quickly becoming one of the top “super foods” for promoting good health. They are packed with potassium, magnesium, and Vitamins C, E, K1, and B6. They are rich in monounsaturated fats, which are more commonly known as “good fats.” They have also a high amount of minerals and phytonutrients that promote a faster wound healing. You knew there was a bit of an obsession about cholesterol, right? You totally want to ditch your scale, don’t you? You may have this weird kind of relationship with your “weight”. I mean, it doesn’t define you (obviously). What you weigh can matter but only to a certain extent. Let’s look at your waist circumference (well…you look at yours and I’ll look at mine). 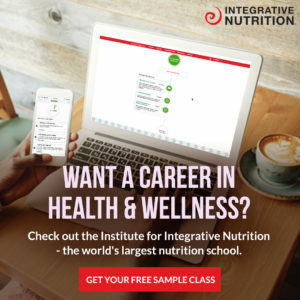 Oh my gosh – nutrition and diet info is everywhere! And each expert and association tries to lead you in their direction because they know best and their advice is going to help you. Right? Everyone has heard the intense focus on how much you eat. This has gotten way too much attention because while this does affect your weight and energy level, it’s certainly not the “holy grail” of health.